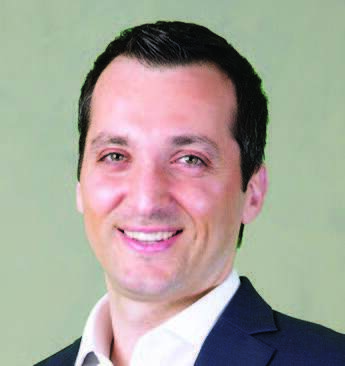 "The use of artificial intelligence by the UAE government to stimulate growth in many different sectors will help to create a more stable framework for the future in the banking sector," said Charles Habak, vice president and chief finance officer. investments at Booz Allen Hamilton Consulting. That banks in the UAE were among the first to use this technology, but that we are still only at the top of the iceberg and that banks have to make great efforts to develop the right skills, the right tools to take, to make management structures and to reform cultures in order to orientate themselves on the use of data and AI The most important growth engines. Recent independent reports predict that artificial intelligence will save savings in the banking sector by about $ 1 trillion by 2030. This technology will enable conventional financial institutions to reduce operating costs by 22 percent in front, middle and back operations, allowing for a greater focus on high added value activities. 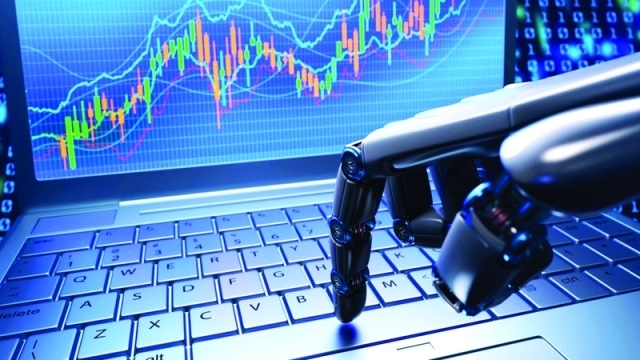 "The banking sector in the region has started investing in artificial intelligence as a means to test new technologies and gain insight into the possibilities that artificial intelligence can offer in an effort to increase customer engagement and efficiency," he said in a statement. statement to the Economic Bulletin. The use of artificial intelligence is not just about investing in technology, but also about how well artificial intelligence can be applied effectively. This means using the right combination of tools and algorithms to improve the customer experience, and requires a strong internal management framework built into the DNA of the bank to stimulate the vision of artificial intelligence. "We expect Artificial Intelligence to be able to transform the experience of bank customers in the UAE over the next 10 years through more personalized offers, comprehensive services, improved decision-making, security and compliance support and improved operational efficiency. We will also see governments and institutions in the region investing in strong frameworks to promote and encourage further investment in artificial intelligence. Investments in artificial intelligence will certainly put the leading banks in a special category compared to other banks, but banks must use a pragmatic approach to artificial intelligence to succeed in the long term. Consider re-giving their employees the skills they have Ready to collaborate with existing artificial intelligence, and this will accelerate the transition from the "production line" approach to a more flexible approach and improve creativity and innovation. Emirates NBD introduced the EVA Virtual Assistant to improve customer service, while Mashreq launched the Interactive Help program to initiate a smart conversation with users. Customers can use interactive help to browse Mashreq products, carry out cash transactions without a card, cheap local transfers, balance requests and recent account transactions, making it much easier to execute banking. JPMorgan Chase recently applied a program worldwide called COIN (Contract Intelligence), an automated learning system that analyzes legal documents. The bank has already helped to largely reduce the number of loan-related errors, and some issues that could have taken several hours could now be completed within seconds. The bank also invested in the innovation group to develop automated learning and artificial intelligence practices to support its manpower. According to a study by Juniper Research, the Interactive Assistant will help global banks to provide more than $ 8 billion per year by 2022, enabling queries through interactive chat service at approximately four minutes from traditional call centers. "The well-designed interactive help service provides an immediate response to customer inquiries, recalls customer preferences and is capable of learning and anticipating customer behavior, and is available day and night and can improvise to provide the right solution for every problem. As some interactive support services rely on advanced possibilities for automated learning and natural language processing capabilities (NLP), banks can also extract huge amounts of data and deliver targeted, personalized experiences to customers. " "The introduction of interactive chat or chat bots in digital banking is the first step towards building a strong framework for artificial intelligence through virtual assistants who can intelligently respond to customer inquiries and provide banks with an inexpensive way to deliver their services. improve, "says Charles Habak. On an international level, HSBC, Standard Chartered and Hang Singh were among the leading banks to announce the launch of the Interactive Customer Service Assistant, which is the next big achievement because it does not reduce the operating costs for banks, but accelerate service and change the way the conversation with customers. Ù Š Š Ø ¨ ..